In the world according to urban folklore, horrors await us at every turn, lurking even in the most ordinary places. Consider how dangerous it can be just to lick an envelope. 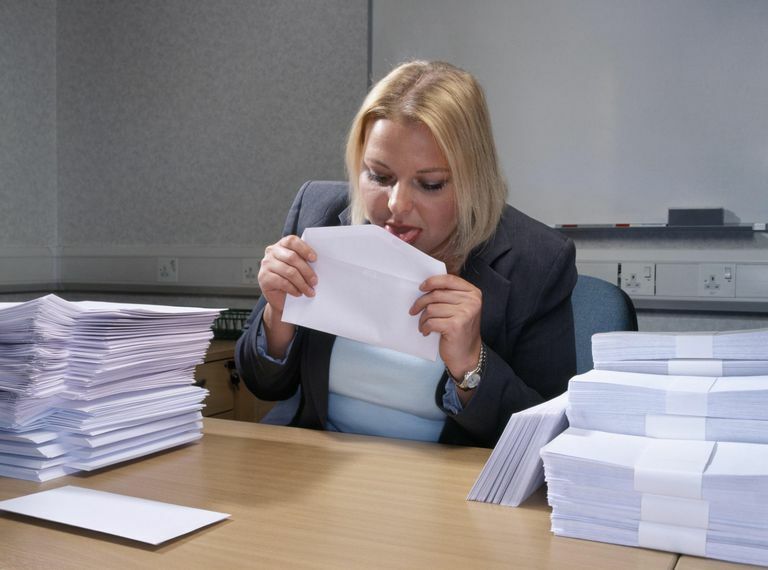 An urban legend circulated that cockroach eggs on envelopes could infest your tongue. It was only a hoax. Subject: If you lick your envelopes... You won't anymore! This is a true story... Pass it on. A similar tale was reported as happening to a "co-worker's wife" in Virginia. Either there was a widespread infestation, or these were an urban legend in the making. Any way you tell it, the urban legend is false. A pregnant cockroach carries her eggs in a hard capsule called an ootheca, in which they incubate, intact, until the larvae (or "nymphs") hatch, bursting the capsule open from the inside. The eggs themselves are tiny and delicate, and couldn't survive at all outside the ootheca, let alone flourish within the body of a mammalian host. It would be highly improbable to find viable cockroach eggs strewn about on random surfaces—least of all on the folded flap of an envelope. Consider, too, the logical inconsistencies in the story. How is it that when the victim visited her doctor the first time, reporting a paper cut and showing visible signs of "abnormal swelling," he found "nothing wrong"? And what was the point, during the second doctor visit, of X-raying the woman's tongue? It's not a bony structure, and the lump was already in plain sight. Infestation legends derive from and play on people's horror of insects. The subtype in which "creepy crawlers" invade the human body provoke an especially visceral response and are particularly popular for that reason. "Roach Eggs on Envelopes" is very similar to the 1998-vintage "Roach Eggs in Tacos" legend, wherein cockroach larvae ingested in a fast food restaurant purportedly incubated in the lining of the victim's mouth. In a general way, both stories resemble "The Spider Bite," an older legend about a traveler in a foreign country who discovers a seemingly innocuous insect bite on her body after an outing. Then while brushing her hair, she touches the spot and the sore bursts open with hundreds of tiny spiders. Wayward insects sometimes find their way into crevices of the human body. But the bulk of infestation legends are just that: legends. It's hard to resist sharing them with the ones you love. Reuters ran a news story a few years back about a British woman who complained to her doctor of a headache and "strange noises in her ear." On examining her, the doctor found a large spider lodged next to her eardrum. "The doctor removed the spider with a syringe," the article continued, "but also raised an unsavory possibility—that the arachnid was a female intent on laying eggs." No spider eggs were found during the examination, but they could not resist raising the creepy possibility. In 1999, rumor had it that a number of people died after moistening the glue on ATM deposit envelopes with their tongues. Supposedly, someone had adulterated the glue with cyanide, a fatal poison. The moral of the story was clear: envelope licking can be hazardous to your health. If true, it would have been widely publicized, but it was not verified. 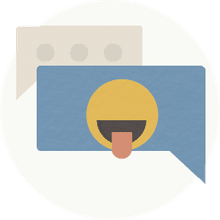 As fewer and fewer people send snail mail and many envelopes and most stamps are self-adhesive, there are fewer chances to expose yourself to any hazards of licking. You likely have nothing to fear, but you can always use a sponge to do the job to make it more sanitary for you, the mail handlers, and the recipient. Meanwhile, don't forward any similar email or repost a similar message on social media.